Hugh has trimmed and snipped at the track and produced a fps friendlier version that retains the feel of the circuit whilst increasing the overall fps performance of the track and has done an excellent job. This version is a standalone build which does not require V1 to be present, it also does not interfere with the original track and can be installed with V1 present which will allow selection of either version from the track selection screen. As a side note (and thanks to Hugh and a couple of others) the error that caused the low fps at T1 has been pointed out to me and I have corrected the files, this has improved the fps performance of V1 (although not as good as the V1.5 version) whilst losing almost none of the looks and will be available for download seperately as soon as testing has finished for those that for whatever reason want to use the older V1. Teretonga Park is the Southern-most sealed racing circuit in the world. Lap Length is a mere 2.61km. Every effort has been made to make this circuit as realistic as possible. do not affect the raceability of the circuit. Having turned a few laps today I would have to say that the layout seems bang on from my accounts there. and found I get that same feeling almost. It is almost 20 years ago that I raced on this circuit. Driving this track brings back alot of vivid memories. helped her to decide to retire from racing and stick to golf. This representation of Teretonga appears to be extremely accurate in its layout and much of the surrounding areas. job to create this rfactor track with so much of the feeling of actually being there. Job well done laser. # Since 1948 the Southland Sports Car Club Inc. has been one of the leading Clubs in the country. Denny Hulme, Chris Amon, Phil Hill, the list goes on. There is a fine display of memorabilia in the Clubrooms. were received for this event, and it has again been held at Teretonga since the 4th & 5th of January, 2003. # Regarded by many drivers as the best and safest track in the country, it has been up-graded on a continual basis. Registers and a very large Classic Car meeting in February of each year. # The circuit is also used for Sprints and Motorkhanas. Other clubs run Motor Cycle and Drag Races at Teretonga. # Since 1981 the Club has been actively engaged in the New Zealand Rally Championship. Thanks for the help getting this track finished. Thanks to Labratty for permission to use the his GPL layout as a base. which helped kick me into gear to get it finished. and also for their assistance to labratty for him being able to make the layout accurate. 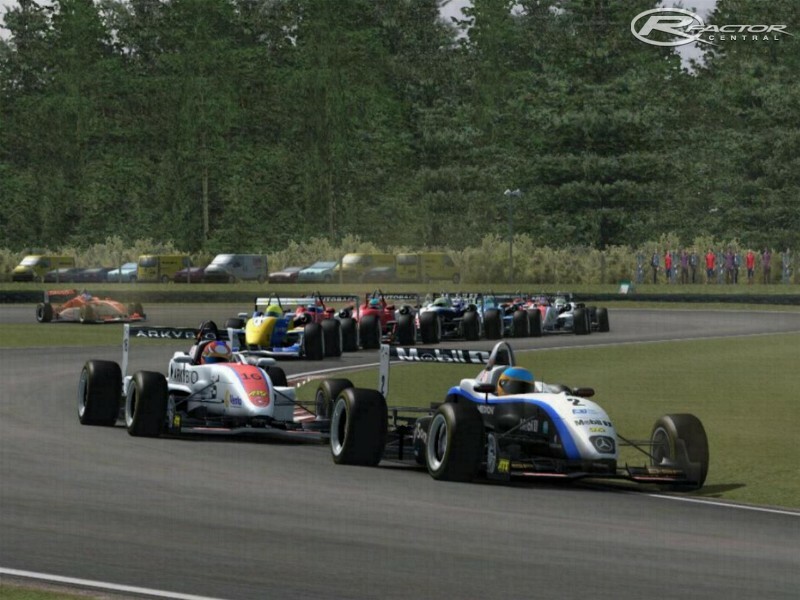 A special note of thanks to some great contributors to the rFactor scene. anything less would make it more arcade like and take away from the realisim. If you keep getting stuck in the sand, then perhaps you need to adjust your braking. AI Are a bit erratic leaving the pits so take care when passing the pit exit, a revised AIW may follow at a later date. The bumps at T4/T5 are intentional and are where the track has dropped over the years. T1 is so fun fun here! 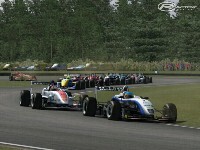 Love to see NZ tracks in rFactor. Very faithful rendition. The most southern track in the world is Carlos Romero in Tolhuin, Argentina: 54°29'23.02"S 67°10'27.52"W , not counting the Ushuaia Kart track . Never commented before but I have to say this is an absolutely must have track, just perfect, The way the track is littered with little bumps. Cheers! Nothing adds character to a track than a few small bumps eh? Very impressed with this one, very good. Still, set some good times. The bumps on the straight are great, also the bumb just before turn 4? (I think) which is the sharp left hander, really forces me to concentrate. 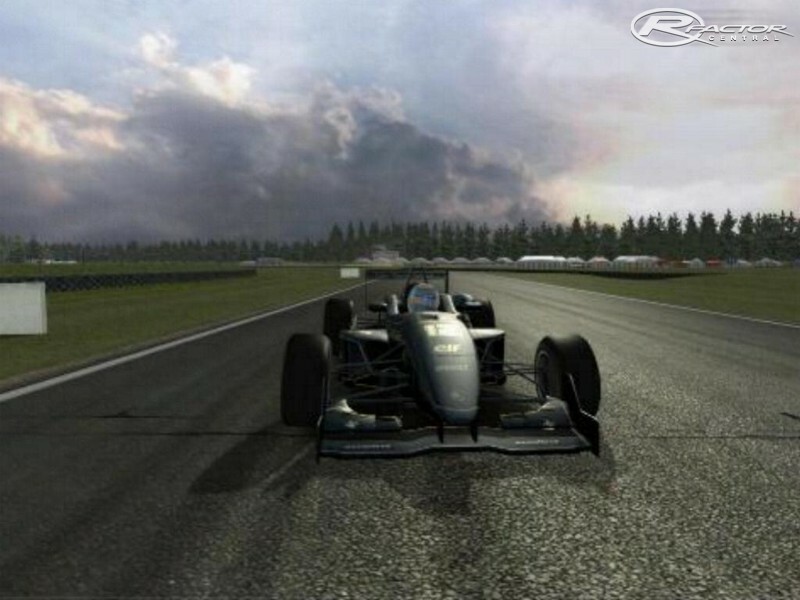 One of the BEST rFactor Track. Nice job.